Everywhere we turn, we hear people talking about the keto diet. What is it and should you adopt it? The keto diet or ketogenic diet is a diet that aims to induce a metabolic process called ketosis. The primary fuel for our bodies is glucose derived from dietary carbohydrates. When the body does not have enough glucose for energy, it will convert the body's fat stores into compounds called ketone bodies for fuel. In order to trigger ketosis, the dieter must avoid virtually all carbohydrates. Previous low carbohydrate diets emphasized protein. Keto emphasizes fat. 75% of daily calories must come from fats, 20% of calories can come from protein and 5% from carbohydrates. Proteins are limited to amounts necessary to maintain lean body mass. Calories are not restricted. 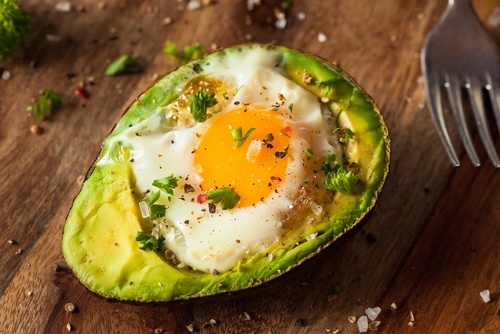 Is the keto diet healthy? The keto diet should only be attempted under supervision. Ketosis produces acids called ketones within the body. Small amounts of ketones are eliminated through urine. However, an excess of ketones in the blood can lead to ketoacidosis, a serious and potentially fatal condition. Also, it is difficult for the average person to calculate the right foods to eat on this diet. It takes up to a week to get into ketosis and your body will come out of ketosis if you eat too many carbs or protein. Even eating too many vegetables can cause your body to come out of ketosis. Doing keto improperly can lead to an increase in weight gain. Several studies have shown the keto diet to be effective for weight loss. Overall, our takeaway is that dietary fat is an important part of weight reduction programs. Olive oil is allowed within a keto diet. It has no carbs and is 100% fat. One of the most concerning things about the keto diet is amount of saturated and animal fats. Adherents to the keto diet often choose coconut oil, butter and lard as their primary fats. This is unnecessary. All fats contain the same number of calories and grams of fat. You can follow a keto diet just as well by avoiding faddish fats such as coconut oil and relying on healthy fats such as olive oil. If you are going keto, take care of your health and use olive oil instead of saturated fats. The antioxidants in olive oil will help you absorb the nutrients in the small amount of vegetables that you are allowed to consume. As a liquid fat, olive oil is easy to drizzle onto keto meals. Olive oil can improve the flavor of just about any meal and can be consumed by the spoonful by itself between meals. If weight loss is your goal, and you've decided not to try keto, don't make the mistake of adopting the other extreme, a low-fat diet. Fats are necessary for weight loss and increase satiety. You will feel less hungry and deprived if your diet includes a healthy amount of fat. Olive oil is not the "least bad" fat. It has been found to improve glycemic index and insulin regulation which can help with weight loss. Keto or not, make sure to include olive oil in your weight loss plans. Learn more about olive oil and weight loss.